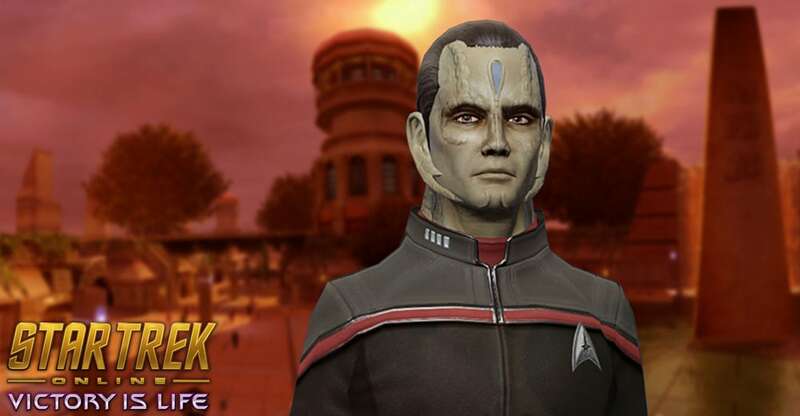 With the coming of Victory is Life, and its connections to Deep Space Nine, it made sense to bring about one of the longest requested features in Star Trek Online: we’re adding Cardassians as a playable species for both Starfleet and Klingon Factions. Cardassians have a unique species trait and a unique optional trait – check below for some details on what this new race will bring to the table. Once a dominant force in the Alpha Quadrant, the Cardassian Union fought on the losing side of the Dominion War. The impact of that conflict is felt to this day on Cardassia Prime, left in a devastated state during the war’s final days. Despite many hardships, the proud, ruthless and cunning people of Cardassia have forged their way into the 25th century with a grim determination. After the Dominion war, Cardassia’s military is a shadow of its former self, reduced to a defensive, peacekeeping force. With the re-emergence of the Dominion and the threat of the True Way terrorist group, many Cardassians feel that more has to be done to protect their home. A number of them have pledged their support to the Klingon Empire or the Federation as a result. After a heavy vetting process, these proud citizens of Cardassia are accepted into the ranks of the KDF and Starfleet. Cardassians are well known for their photographic memory and mental strength, which is utilized during combat to recall the extensive combat training instruction. For every 5 seconds you are in combat, you will gain one stack of Recalled Tactics, which will increase your Damage, Accuracy, and Defense for a short time. Increases your resistance to mind controlling attacks, enhancing innate resistance to the effects of Confuse, Stun and Placate. This also makes you immune to the Vulcan Nerve Pinch! Stay tuned for more information on how to unlock this new playable race, which will be testable on Tribble very soon!